If you’ve ever thought about hosting on Airbnb to earn extra income, now is a great time to get started! 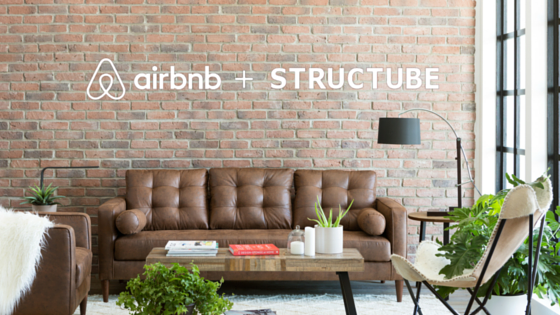 This summer Airbnb has partnered with Canadian furniture retailer Structube and a few amazing home interior designers to host a meetup to help you design and prep your space to host. From unique ways to conceal your personal items to basic questions about hosting, the team is here to help! You’ll meet the Airbnb Toronto team, a few of our incredible hosts, and Structube's local design team. By the end of the meetup, you will feel confident and comfortable to style your space ready for hosting. We'll be giving away a few prize items, so you won't want to miss out! Plus, all new hosts that complete a guest booking by August 15, 2016 will automatically receive a $250 Structube Gift Card. Beaux Mondes (https://www.instagram.com/beauxmondes/) and Wieske Design (http://www.wieskedesign.com), will be leading the 'Design Tips for Hosting' and 'Q&A / 1:1 Consultations' at the event. Space is limited and an RSVP is required to attend. Just click the "Sign Me Up" button below. Feel free to extend an invite to a friend. By signing up for the Event, you agree that Airbnb may record or photograph the Event, (including You, your likeness and voice), and use it publicly or privately in any form of media, including for commercial purposes. By attending, You consent to the recording and photographing and grant Airbnb an unrestricted, perpetual, non-exclusive and sublicenseable license, to take, use, display, perform, distribute or exploit for any lawful and commercial purpose any recordings or photographs. If You do not agree, please do not click "Sign Me Up" and do not attend the meetup.